Chimney Flashing Irvington, Essex County, New Jersey, NJ. 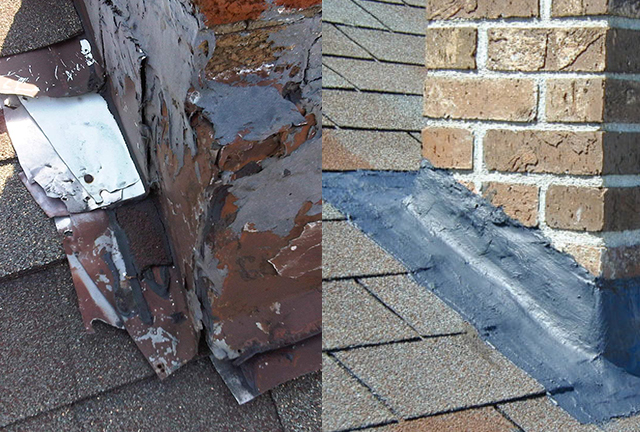 Flashing is the seal between the roofing material and the chimney. Flashing prevents rainwater or snow melt from running down the chimney into living spaces where it can damage ceilings and walls and cause rot in rafters. The flashing is the expansion joint between two dissimilar materials. It is designed to allow both the roof and the chimney to expand and contract at their own rates without breaking the waterproof seal in either area.